I've been a member here for quite some time, but have been mostly content with just reading everyone elses post/reviews. There's so much here for a fragrance enthusiast, it's overwhelming! In a good way of course. Throughout my life I've been alone when it comes to frags, nobody I know shares any of my passion! When I was in early high school, a girl friend of mine bought me a cologne. This cologne was called "pimp." I know it sounds crazy, and lame...but it was my 1st fragrance, and my introduction the world. Don't get me wrong, it smells excellent! The fragrance was purchased at a store called "hot topic." I remember the box, it was grey/light blue, and was very gimmicky, almost a joke. It was like $12. (expensive to an early high school-er at age 14) As I used up my 1st bottle, I went looking for another one. I found one at a store called "gadzooks." It seems like a more preppy, hot-topic spin off. Anyways, I believe I purchased it for about $20 at that time. Here I am, many fragrances later, without a way to find another one. I searched and searched, and cannot find a bottle. I came across a site that was selling a reformulated version called "stud." I was ecstatic! I ordered it right away, and when it got here...it was nowhere near the original juice. Now I happen to remember someone saying they owned this fragrance called "stud" in a thread that said to state any fragrances you have that other basenoters probably don't. I wonder if that person found "stud" the same way I did. My search continued on, until I got a little surprise. Checking out fragrance forums I heard about a fragrance called "just me" by paris hilton. I heard it was real nice, so I ordered it blind. When it got here, I sniffed it...and OMG. Something familiar...it's nearly identical to "PIMP!" "Just me" is so close, but doesn't nearly have the longevity, or the nostalgia that comes with my old bottle. Anyone have a tip on where to find this? Or share a similar experience? Last edited by d_duffy7; 4th May 2010 at 09:48 PM. that is an interesting story, never heard of that cologne. LOL, what's the Female version of this called ? 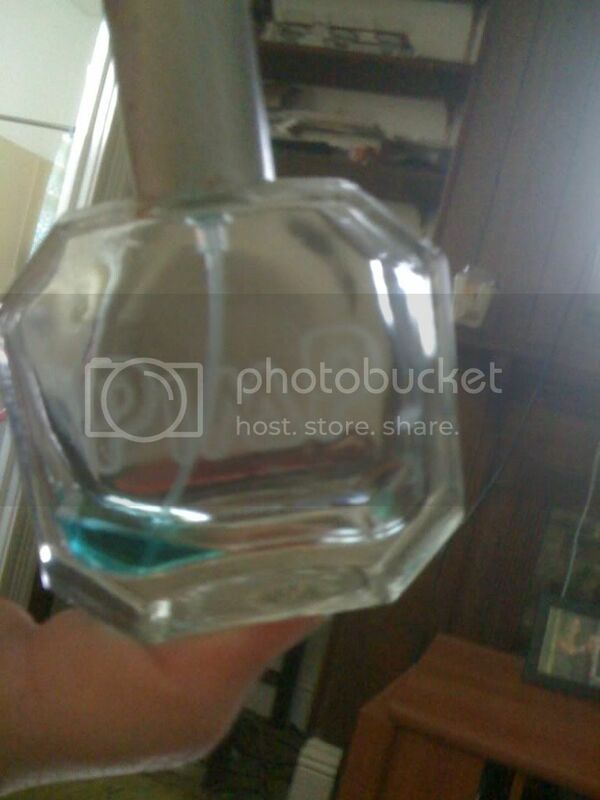 d_duffy7: does the bottle have a label on the bottom? If so, what does it say? I've never seen it an any stores here....I live in Canada fwiw. On the bottom there are engraved letters that say "ranch" and "VCA"
The underline is where I'm not so sure if there's a letter or a space there. Last edited by d_duffy7; 5th May 2010 at 06:27 AM. A friend sent me some a few years ago. It was in a black bottle with studded silver font then. It's a super loud fougere with tons of lavender and musk among other things. Not terrible (highly compelling actually) but a little was all it took to fill a room. I threw it away because the bottle leaked. Sort of wish I still had it. Yes, I purchased "stud" hoping it'd be the same juice...but no luck. If it isn't too much trouble, I was wondering if you could ask your friend how he came upon this fragrance?